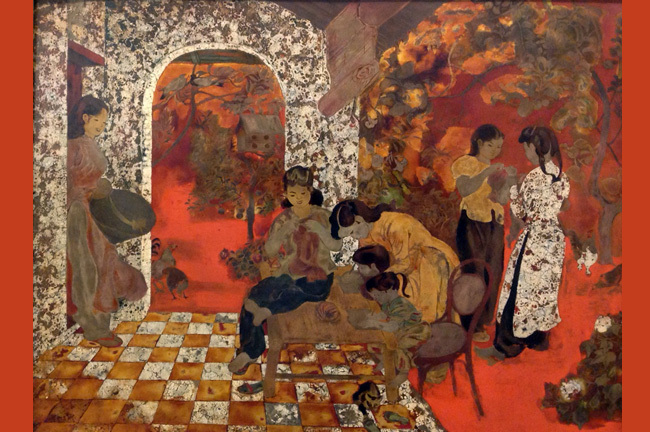 Tran Van Can was the first-generation artist of Vietnamese fine arts. He was born in a poor family; his father worked as a secretary in Kien An post office; his mother sold toy figurines and paper lanterns for money. Despite the poverty, Tran Van Can and his siblings still had a chance to go to school. Tran Van Can was born on August 13th, 1910 in Kien An town, Hai Phong. He studied at Bach Nghe school and then worked in Nha Trang. After graduating from class 7 (1931-1936) of the Indochina Fine Arts College, he was soon renowned for the lyrical realism of his works expressed in different materials such as oil, lacquer and silk. Tran Van Can demonstrated his talent when he got the highest result in the graduation exam. Moreover, he won many premier league prizes of Annamese Association for the Encouragement of Art and Industry (SADEAL) in which many artists participated such as Le Pho, Nam Son, Le Thi Luu and George Khanh. The exhibition of the association was open in the autumn of 1935 in center of Trang Tien street (now Information Department of the Ministry of Culture and Information, Hanoi). At that time, in Hanoi, the artist group FARTA (To Ngoc Van, Tran Van Can, Le Van De, Luong Xuan Nhi, etc) had a desire for the freedom and independence of artistic creativity with a tremendous spirit of national pride. The group held two renowned art exhibitions over the period between 1938 and 1942. Luong Xuan Nhi and Tran Van Can were close friends. 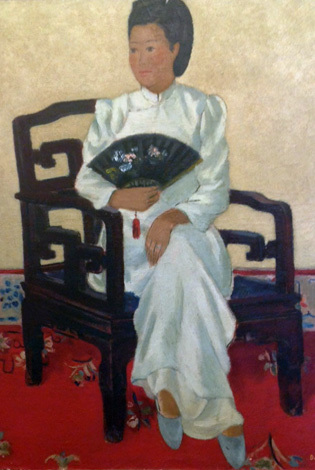 When Tran Van Can was young, he usually visited Luong Xuan Nhi and they painted a model together. (Nguyen Gia Tri and To Ngoc Van also hired Ms. Sau (a famous model at that time) to execute their paintings. She was portrayed in many well-known paintings of To Ngoc Van such as Young Lady by the Lily and Young Lady by the Lotus… After that, when Ms. Sau moved to Southern Vietnam, she still worked as a model for Nguyen Gia Tri). In September, 1945, Tran Van Can and many other artists put dozens of advocacy paintings around Sword Lake. His painting “Vietnam for the Vietnamese” was hung on the bank building (now the State Bank of Vietnam). In1946, the first national exhibition was first held in Hanoi under the new regime. 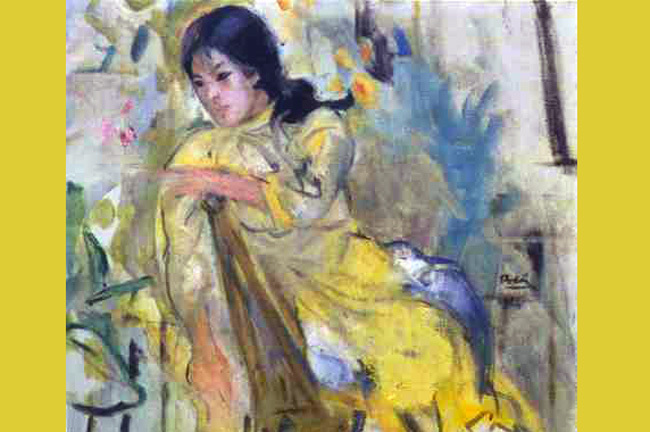 Tran Van Can was awarded the first prize for the painting Getting Down to Fields and it was bought by the National Salvation Cultural Association with the paintings President Ho Chi Minh Working at The Tonkin Governor’s Palace (To Ngoc Van) and Portrait of President Ho Chi Minh (Nguyen Do Cung). In July, 1948, Tran Van Can was elected to the Standing Committee of the Vietnam Cultural Association at the National Cultural Congress. In June, 1954, Tran Van Can became the principal of the fine arts college instead of To Ngoc Van after To Ngoc Van’s death and he worked as the principal for 15 years (1954 -1969). 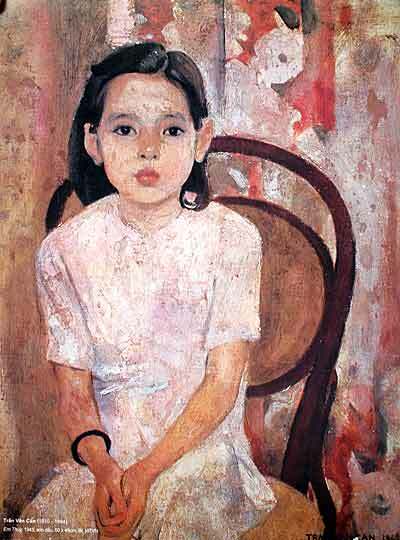 During the period between 1958 and 1983, he was the General Secretary of the Vietnamese Fine Arts Association, 1st tenure. From 1978, he worked as a collaborator of the Academy of Arts of the German Democratic Republic. Between 1983 and 1989, he became the President of the Vietnamese association of Plastic Arts, 2nd tenure. Many of his works were conserved at the Vietnam Fine Arts Museum and private collections in Vietnam and foreign countries. He passed away in 1994 in Hanoi. After 60 years of artistic creativity, Tran Van Can left his wife (Sculptor Tran Thi Hong) hundreds of paintings as a gift. Due to his valuable contributions, he was awarded plenty of noble medals including first class Labor Medal. He received Ho Chi Minh Prize for Literature and Arts (phase I) in 1996.